Human Resources White Papers - Family Law White Papers | National Legal Research Group, Inc.
Business use of the Internet has experienced extraordinary growth in recent years. It is now commonplace for employees to have access to the Internet, and as the United States moves ever closer to an information worker/service type of economy, even more employees will need access to the Internet to do their job effectively. Although the business uses of the Internet are many, much of the information available to employees on the Internet is not related to job performance. Thus, many employers have recognized that unrestricted use of the Internet by employees has the potential to drain, rather than enhance, productivity. The solution may be to implement a policy outlining the permissible parameters of employee Internet use, or an Internet acceptable use policy ("IAUP"). The ADA Amendments Act of 2008 ("ADAAA"), Pub. L. No. 110-325, 122 Stat. 3553 (200), which amends the Americans with Disabilities Act of 1990 ("ADA"), was signed by the President on September 25, 2008. The changes brought about by the ADAAA are likely to increase significantly the number of requests for accommodation and the number of claims of disability discrimination. For most professional, commercial, and retail establishments, maintaining a website has become a matter of business necessity. Yet with its undisputed advantages, the operation of a website also presents new areas of exposure to liability for its owner or operator. 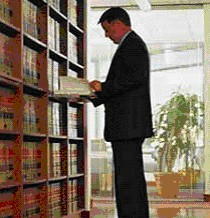 Sources of potential liability include infringement (either in the domain name itself or in the content of the website), privacy (relating to the use of website user information or the posting of website content containing the name or likeness of a person), defamation (in the form of web content), reliance (based on information contained on the website and the use of that information), or accessibility (for visually impaired individuals). Active appreciation is appreciation in separate property that is caused by contributions of marital funds or marital efforts. In almost all dual classification states, active appreciation is marital property. When valuing a business for purposes of division upon divorce, all states agree that the hard assets and liabilities of the business are marital property. But the value of a business as an ongoing concern is often greater than the total value of its assets and liabilities. This difference in value is known as goodwill. Some of the most controversial issues in all of family law concern the growing acceptance of committed relationships and parenthood in the gay and lesbian communities. Law on this subject differs immensely from state to state. Regardless of state law, however, gay and lesbian couples are raising children in unprecedented numbers.